Eyelet Buttonhole Archives - Global International B.V. 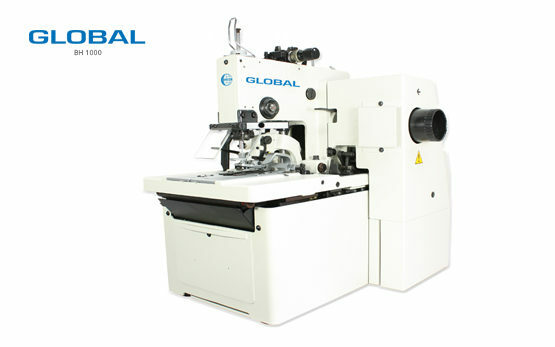 Global offers both electronic and mechanical eyelet chainstitch buttonhole sewing machines. These Eyelet Buttonhole sewing machine are suitable for jeans, outerwear and suits, according to the customer’s wishes and demands. The Eyelet Buttonhole electronical chainstitch machine types give you a wider range of patterns and has a user-friendly interface. 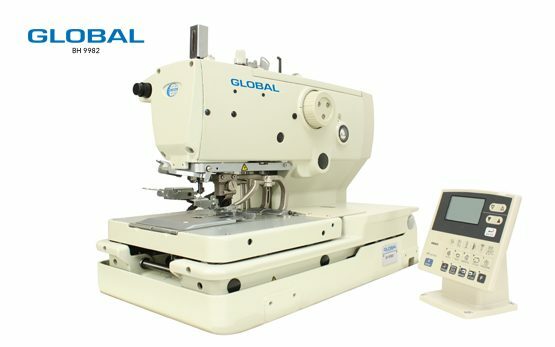 The Global Eyelet Buttonhole sewing machine BH 9982 is an electronic eyelet chainstitch buttonhole machine with a high speed, two thread chainstitch, with thread trimmers for the upper and lower thread. According to the customers the ideal sewing machine for jeans, outerwear and suits!